Philip Stern joined Exeter Business School in September 2013. He previously worked at Loughborough, Bangor and at Warwick Business School. He holds a visiting Professorship at the Ehrenberg-Bass Institute at the University of South Australia. He has managed and contributed to numerous executive courses for companies including Unilever, TNT, Barclay’s, Diageo, Carlsberg, HSBC, and Severn-Trent. 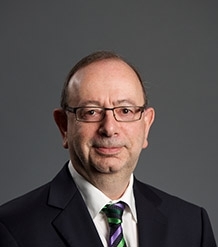 His expertise and research has been sought by companies including Bristol Myers Squibb, GfK, Glaxo Smith Kline, Novartis, Lilly Industries, Napp Pharmaceuticals, Organon, Procter and Gamble, IMS, Premier Farnell, Atkins and the National Audit Office. Before becoming an academic Philip worked in new product development for Unilever and spent time in Nigeria running a cosmetic factory. He also worked for Avon in European category management. Philip’s research is focused on market segmentation, the pharmaceutical industry and the prescribing behaviour of general practitioners. He has published many articles in journals including Management Science, Journal of the Academy of Marketing Science, International Journal of Research in Marketing, Industrial Marketing Management, Marketing Letters, Journal of Business Research, Journal of Advertising Research, Long Range Planning, British Journal of Management, Omega, Journal of Brand Management, Communications Law. He is also co-author of “Marketing Management and Strategy”, http://tinyurl.com/35cxefs a leading text in the area and has contributed chapters to edited books. Philip is interested in the realities of buying behaviour using real data to better understand the replicable patterns of consumption in a wide range of markets from fast moving consumer goods to pharmaceutical prescribing and from industrial contracting to charitable donation. These realities often stand in contrast to the rhetoric frequently found in marketing literature: for example it transpires that pursuing customer loyalty is frequently quixotic rather than a strategy which makes economic sense. Philip’s research leads directly to the development of empirical generalisations in the field of marketing and where possible generalisations which are simple and easy to use in practice. Philip is currently undertaking a co-creation project funded by the Economic and Social Research Council between Exeter University Business School and the Crown Commercial Service which is an executive agency of the Cabinet Office responsible for providing commercial services to the public sector and improving government commercial and procurement activity. The Cabinet Office is a department of the Government of the United Kingdom. The aim of this ESRC project is to explore ways of helping to meet procurement targets for SMEs by 2020. Philip supervises Sarah Wirtz, a PhD candidate who is sponsored by JML. Sarah is exploring new product trial, branding and optimising advertising expenditure using data from the company. Philip is also collaborating with Professor Malcolm Wright at Massey University in New Zealand to identify the characteristics of innovative General Practitioners. A third collaboration with Professor Wieringa of the Univerity of Groningen and Professor Nenycz-Thiel at the University of South Australia is examining patterns of cross-category purchase behaviour. Stern P, Wright M (2016). The adoption of new prescription drugs is strongly associated with prior category prescribing rate. International Journal of Research in Marketing, 33(1), 220-224. © 2015 Elsevier B.V. We investigate whether doctors who adopt a new drug in its first year on the market tend to be heavier category prescribers. Early studies of pharmaceutical prescribing and packaged goods purchasing suggest that innovators are heavier category users; however, this finding has received little attention and the evidence remains sparse. We examine the adoption of 36 new drugs by doctors in the United Kingdom and find that, on average, the prior category prescribing rate of innovators is about 50% higher than that of non-innovators. Wright MJ, Stern P (2015). Forecasting new product trial with analogous series. Journal of Business Research, 68(8), 1732-1738. © 2015 Elsevier Inc. This study develops a simple method for forecasting consumer trial for national product launches. The number of consumers who try a brand in its first year on the market is accurately predicted from the number trying the brand in the first thirteen weeks following launch. No information about the specific category or marketing activities is required - just a simple multiplier computed from analogous series in other markets. These analogues provide an empirical generalization that can be easily applied by practicing managers to track and forecast the success of new brand launches. When subject to an out-of-sample test involving 34 fresh data sets, the analogues demonstrated 43% reduction in mean absolute percentage error compared to the most accurate marketing science model. Riebe E, Wright M, Stern P, Sharp B (2014). How to grow a brand: Retain or acquire customers?. Journal of Business Research, 67(5), 990-997. While customer acquisition is clearly important for new brands, mature brands are often said to rely on defection management for maintenance and growth. Yet the theory to support this approach has been subject to very little empirical investigation. How do brands actually increase the size of their customer base? Through superior acquisition or by reducing customer defection? Or some mixture of both? Conversely, do brands decline through deficient acquisition or excessive defection? This work analyzes changes in 'first brand loyal' customers to answer these questions, using a combination of panel data on the prescribing behavior of doctors and a cross-sectional tracking survey for residential finance. This study is the first research to compare defection and acquisition against stochastic benchmarks for customer churn under stationary conditions. The results are surprising: for both growth and decline, unusual acquisition plays a much stronger role than unusual defection. This finding demonstrates that acquisition has been under-rated in the past, and implies that prospect management is at least as important as defection reduction. A simulation shows that unusual acquisition also accounts for far more improvement in profit than does unusual defection. © 2013 Elsevier Inc.
Doyle P, Stern P (2006). Marketing Management and Strategy., Pearson Education. Stern P, Keeling D, Rigby M, de Ruyter K, Bove L (In Press). Marketing as an Integrator in Integrated Care. European Journal of Marketing Full text. Stern P, Keeling D, Rigby M, de Ruyter K, Bove L (2018). Marketing as an Integrator in Integrated Care. European Journal of Marketing, 52, 2194-2206. DOI. Managers cannot afford to ignore social media and have stepped up their involvement in the belief that social media activities extend the brand’s reach and engagement with consumers. Facebook is the preeminent social medium with an ever increasing branded content. One hundred brands selected from the Interbrand “Best Global Brand Report” form the basis of this study to test research propositions about the ability of branded Facebook pages to expand and engage users. Data captured from branded Facebook pages was supplemented with socialbaker’s data. No correlation is found between the size of a brand and the number of Facebook fans, and there is no consistent relationship with user engagement and brand size. The authors discuss broadening reach, improving engagement, interaction and activity and the implications for social media strategies and make recommendations for managing Facebook presence. Paid advertising is required to increase brand reach to all potential category users. Stern P, Nikolopoulos K, Buxton S (2016). Forecasting Branded and Generic Pharmaceuticals. International Journal of Forecasting, 27(2), 344-357. We forecast UK pharmaceutical time series before and after the time of patent expiry. This is a critical point in the respective lifecycle as a generic form of the product is introduced to the market, while the branded form is still available for prescription. Forecasting the number of dispensed units of branded and generic forms of pharmaceuticals is increasingly important due to their huge market value and the limited number of new ‘blockbuster’ branded drugs, as well as the imposed cost to national healthcare systems like the NHS. In this paper, eleven methods are used to forecast drug time series including Diffusion Models (Bass model & RPDM), ARIMA, Exponential smoothing (Simple and Holt), naive and regression methods. ARIMA and Holt produce accurate short term (annual) forecasts for branded and generic drugs respectively, while for the more strategic horizons of 2-5 year ahead, Naive with drift provides the most accurate forecasts. Nikolopoulos K, Buxton S, Khammash M, Stern P (2016). Forecasting branded and generic pharmaceuticals. International Journal of Forecasting, 32(2), 344-357. Full text. DOI. Dibb S, Stern P (2016). Further Thoughts on the Marketing Trifid: the Case of Marketing Orientation. Journal of Marketing Education, 22(3), 214-224. DOI. Faulkner M, Romaniuk J, Stern P (2016). New versus frequent donors: Exploring the behaviour of the most desirable donors. Australasian Marketing Journal (AMJ), 24(3), 198-204. Full text. DOI. Stern P, Trinh G, Wright M (2014). The Relationship Between Household Life Cycle and Brand Loyalty. Advances in Consumer Research, 42, 387-391. This research investigates changes in brand loyalty as households pass from one stage of the household life cycle to another. Analysing 45 brands in three consumer product categories in the UK, we find that the changes follow a U shape pattern. Brand loyalty declines as households shift from the young single stage to the young couple and the young family stage, remains relatively lower through the older family stage, and then increases at the post family and older single stages. Parry S, Jones R, Stern P, Robinson M (2013). "Shockvertising': an exploratory investigation into attitudinal variations and emotional reactions to shock advertising. JOURNAL OF CONSUMER BEHAVIOUR, 12(2), 112-121. Author URL. DOI. McCabe J, Stern P, Dacko S (2013). Purposeful empiricism: How stochastic modeling informs industrial marketing research. Industrial Marketing Management, 2(3), 421-432. It is increasingly recognized that progress can be made in the development of integrated theory for understanding, explaining and better predicting key aspects of buyer–seller relationships and industrial networks by drawing upon non-traditional research perspectives and domains. One such non-traditional research perspective is stochastic modeling which has shown that large scale regularities emerge from the individual interactions between idiosyncratic actors. When these macroscopic patterns repeat across a wide range of firms, industries and business types this commonality suggests directions for further research which we pursue through a differentiated replication of the Dirichlet stochastic model. We demonstrate predictable behavioral patterns of purchase and loyalty in two distinct industrial markets for components used in critical surgical procedures. This differentiated replication supports the argument for the use of stochastic modeling techniques in industrial marketing management, not only as a management tool but also as a lens to inform and focus research towards integrated theories of the evolution of market structure and network relationships. McCabe J, Stern P, Dacko SG (2013). Purposeful empiricism: How stochastic modeling informs industrial marketing research. INDUSTRIAL MARKETING MANAGEMENT, 42(3), 421-432. Author URL. DOI. Robinson M, Parry S, Jones R, Stern PP (2013). Shock advertising: cultural differences and similarities. Journal of Consumer Behaviour: an international research review, 12(2), 112-121. McCabe J, Dacko S, Stern PP (2012). Before and after: using the Dirichlet to analyze the sales impact of a sustained increase in promotional activity in an organizational market. Journal of Advertising Research, 52(2), 214-224. DOI. Stern PP, Sharp B, Wright M, Dawes J, Driesener C, Stocchi L, Meyer-Waarden L (2012). It's a Dirichlet world: modelling individuals' loyalties reveals how brands compete, grow, and decline. Journal of Advertising Research, 52(2), 203-213. DOI. Gonzalez J, Sismeiro C, Dutta S, Stern P (2008). Can branded drugs benefit from generic entry? the role of detailing and price in switching to non-bioequivalent molecules. INTERNATIONAL JOURNAL OF RESEARCH IN MARKETING, 25(4), 247-260. Author URL. DOI. Stern P, Gonzalez J, Sismeiro C, Dutta S (2008). Can branded drugs benefit from generic entry? the role of detailing and price in switching to non-bioequivalent molecules. , 5(4), 247-260. Patent expiration represents a turning point not only for the brand losing patent protection, as bioequivalent generic versions of the drug quickly enter the market at reduced prices, but also for the non-bioequivalent drugs that retain patent protection in the same therapeutic category. In this paper, we study how physician characteristics and prescribing decisions impact competition among molecules of a therapeutic class once generic versions of one of these molecules enter the market. Our results show that the traditional focus on the single molecule losing patent protection is not sufficient to understand the impact of generics in the category and their cost-saving potential. We find that generic entry in the category under analysis not only leads to the expected decrease in the prescription of the branded molecule bioequivalent to the generics, but also unexpectedly benefits other non-bioequivalent branded drugs as detailing-sensitive physicians switched from the contested molecule to these other branded alternatives. However, a group of price-sensitive physicians did increase their use of the new generics to the detriment of all branded alternatives, allowing for additional savings in health care costs. The overall market result is a slight decrease in the prescriptions of the now much cheaper molecule. This paradox was identified previously in several pharmaceutical categories [Caves, R.E. Whinston, M.D. & Hurwitz, M.A. (1992), “Patent expiration, entry and competition in the US pharmaceutical industry: an exploratory analysis”, Brookings Papers on Economic Activity, Microeconomics, vol. 1991, 1–48. ], but lacked a systematic understanding and explanation. We show that the understanding of such market paradoxes requires marketers and policy makers to (1) determine the size of physician segments sensitive to marketing activity and prices, and (2) assess the marketing activity of all pharmaceutical firms, whether bioequivalent or not. We discuss the managerial and policy implications of our results. Janakiraman R, Dutta S, Sismeiro C, Stern P (2008). Physicians' Persistence and its Implications for Their Response to Promotion of Prescription Drugs. Management Science, 54(6), 1080-1093. DOI. McCabe J, Stern P (2008). Stochastic modelling and industrial networks—complementary views of organisational buyer behavior. Journal of the Academy of Marketing Science, 37(2), 204-214. DOI. Stern PP (2005). Commentary of Identifying 'Dr Innovator' in the primary care sector in the UK. International Journal of Medical Marketing, 5(1), 85-87. Stern P, Hammond K (2004). The Relationship Between Customer Loyalty and Purchase Incidence. Marketing Letters, 15(1), 5-19. DOI. Angwin D, Stern PP, Bradley S (2004). The target CEO in a hostile takeover: can the Condemned Agent be Redeemed?. Long Range Planning, 37(3), 239-257. Stern P (2002). How health managers see prescribing. Marketing Intelligence & Planning, 20(2), 104-112. DOI. Dibb S, Stern P, Wensley R (2002). Marketing knowledge and the value of segmentation. Marketing Intelligence & Planning, 20(2), 113-119. DOI. Saunders J, Stern P, Wensley R, Forrester R (2000). In Search of the Lemmus Lemmus: an Investigation into Convergent Competition. British Journal of Management, 11(s1), S81-S95. DOI. Stern PP (2000). Scrip's Guide to Successful Pharmaceutical Marketing. International Journal of Medical Marketing, 1(1), 88-89. Stern PP (2000). The Industry Perspective on G.P Prescribing - How Good is it?. International Journal of Medical Marketing, 1(1), 20-32. Stern P, Hogg A (1997). Branded pharmaceuticals — inevitable decline or opportunities for growth?. Journal of Brand Management, 4(5), 343-353. DOI. Dibb S, Stern P (1995). Questioning the reliability of market segmentation techniques. Omega, 23(6), 625-636. DOI. Stern P (1994). Prescriptions for branded and generic pharmaceuticals. Journal of Brand Management, 2(3), 177-183. DOI. Wieringa J, Osinga E, Conde E, Leeflang P, Stern P (2014). Modelling the effects of promotional efforts on aggregate pharmaceutical demand: what we know and challenges for the future. In Ding M, Eliashberg J, Stremmerch S (Eds.) Innovation and Marketing in the Pharmaceutical Industry, New York: Springer, 591-628. Modelling the effects of promotional efforts on aggregate pharmaceutical demand: what we know and challenges for the future. Stern P, Wright M, Faulkner M, Konopka R (2016). Predictable Patterns of Prescribing Innovation. Author URL. DOI. Everyone is a consumer and their experience of marketing provides an understanding of many aspects of the discipline. This provides the basis for class discussions about key marketing issues. Philip is particularly interested in applying the results of his research to teaching and this often challenges participant preconceptions about how to succeed in the marketplace. He is a keen user of case-studies and simulations which help course participants to contextualise and experiment with important constructs.